We have special offers available on tickets for Fiddler On The Roof. 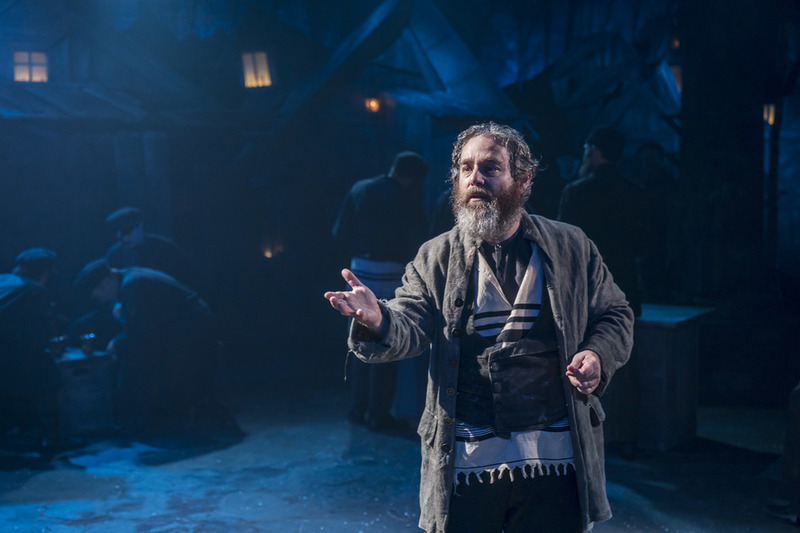 Proud father Tevye struggles to maintain his family's Jewish traditions in turn of the 20th century Imperial Russia in the West End transfer of Menier Chocolate Factory's sold-out, "note-perfect" (The Guardian) staging of the Tony Award-winning musical. Trevor Nunn directs Andy Nyman as the despairing patriarch and Judy Kuhn as Golde in this joyous and timely celebration of life. Featuring well known songs like 'Matchmaker, Matchmaker', 'Sunrise, Sunset' and 'If I Were a Rich Man', Fiddler on the Roof "bursts from the stage" (Financial Times), bringing new life to one of the most beloved musicals of all time. "Musically, geopolitically, emotionally, this Fiddler raises the roof" said The Guardian in its five star review. What are the best dining options near Fiddler On The Roof London? Fiddler On The Roof gyms, sporting activities, health & beauty and fitness. The best pubs near London Fiddler On The Roof. Fiddler On The Roof clubs, bars, cabaret nights, casinos and interesting nightlife. Where to have your meeting, conference, exhibition, private dining or training course near Fiddler On The Roof. From cheap budget places to stay to luxury 5 star hotels see our deals for Playhouse Theatre hotels, including Corinthia Hotel London from 97% off.